Oil company BP says it is fixing a leak in a so-called "choke line" leading to one of the shut-off valves of the new cap designed to plug its spilling Gulf of Mexico oil well.Company officials said late Wednesday their engineers had "isolated" the leak and would move ahead with testing of the new containment cap once the repairs were complete. The test involves closing all the valves to determine if the cap can effectively contain the massive leak, or if oil is flowing from another part of the well. BP began the tests Wednesday, after a day-long delay imposed by the U.S. government who wanted time for further analysis to ensure its safety. U.S. National Incident Commander Thad Allen said officials took about 24 hours to review the plans for the test.Allen has said that if the new cap can maintain high pressure readings over an extended period – six to 48 hours – it could fully contain the leaking oil. If pressure readings are too low, he said it could mean there is damage to the well shaft underneath the sea bed. The new cap was installed Monday on the damaged well head about 1.6 kilometers below the Gulf’s surface.BP’s Chief Operating Officer Doug Suttles said earlier that government scientists raised concerns that the tests of the new cap could damage the well shaft. In an interview with CNN, Suttles said damaged liners within the well shaft could cause oil to leak underground. On Wednesday, BP, as a precaution, suspended work for two days on relief wells intended to permanently seal the damaged oil well underground. Suttles said that oil production ships on the surface are continuing to collect and burn off oil leaking from the well. The oil leak began after the April 20 explosion of the Deepwater Horizon oil rig, which killed 11 crewmen. The disaster has fouled vast expanses of the U.S. Gulf coast, killed birds and sea life and devastated the region’s fishing and tourism. 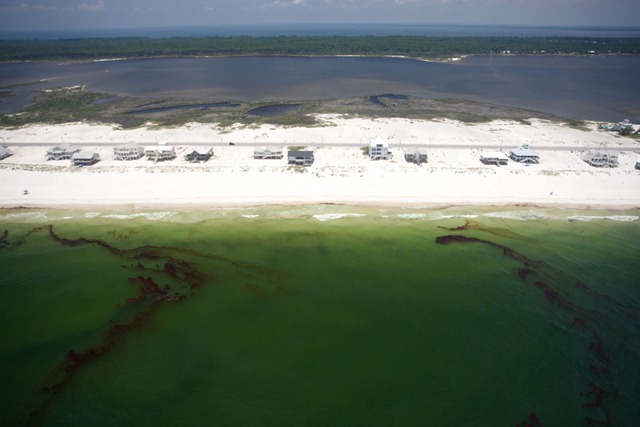 BP officials said, as of Monday, the leak has already cost the company some $3.5 billion. This entry was posted in Earth, News, VOA. Bookmark the permalink.